Leave it to Marvel to come second in the titular super-heroine movie sweepstakes, and yet doing so in spectacular style. Ever since the first Shake, Rattle & Roll ruled the Metro Manila Film Festival’s (MMFF) box-office, horror films have become a mainstay of the annual late-December filmfest. Just last week, the NY Film Critics awarded Spider-Man: Into the Spider-Verse as its Best Animated Feature for 2018. Even if we call it Creed II, for all intents and purposes, it’s the second installment of the Second Coming of Rocky. The second installment of the JK Rowling’s Fantastic Beasts franchise is like viewing a Bruegel or Bosch painting. 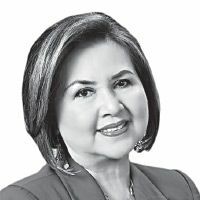 If you survey the landscape of contemporary Western Europe, it will be apparent that the nations of Spain and Italy have more to share with us Filipinos than the other countries. Whether it’s fair or not, A Star Is Born has always been remembered for its female lead star. At first glance, the idea of creating a sequel to the Predator franchise seems a strange choice. It’s interesting to note that when the first Equalizer came out in 2014, Denzel Washington, born in 1954, was already 60 years of age — a senior citizen starring in an action film. The Spy Who Dumped Me is the kind of film that if approached without much expectation, turns into a pleasant, enjoyable, two-hour diversion. f the mission of every Mission Impossible (MI) film is to do better than the previous entry, then the very latest, Fallout, can pat itself on the back for coming up trumps. It’s been 10 years since the first film charmed its way into the hearts of many, and close to half a century since the band ABBA began their meteoric rise on the pop charts. With Ant-Man and the Wasp (AMW), the Marvel Comic Universe (MCU) reverts back to the personal and relatively diminutive story. The women-oriented reboot of historically popular films has been going on for some time now, even predating the #MeToo movement that recently swept Hollywood and the entire film industry. As the second installment in a planned trilogy, Jurassic World: Fallen Kingdom sets its sight on giving us more than your expected popcorn sci-fi, dinosaur adventure.